MacroUSA Armadillo V2 Throwable Micro Unmanned Ground Vehicle (MUGV) Tactical Robot Wins Innovation Award at Military European Land Robot (M-ELROB) 2010 Trial/Competition | DefenseReview.com (DR): An online tactical technology and military defense technology magazine with particular focus on the latest and greatest tactical firearms news (tactical gun news), tactical gear news and tactical shooting news. The following is a MacroUSA Corporation press release. 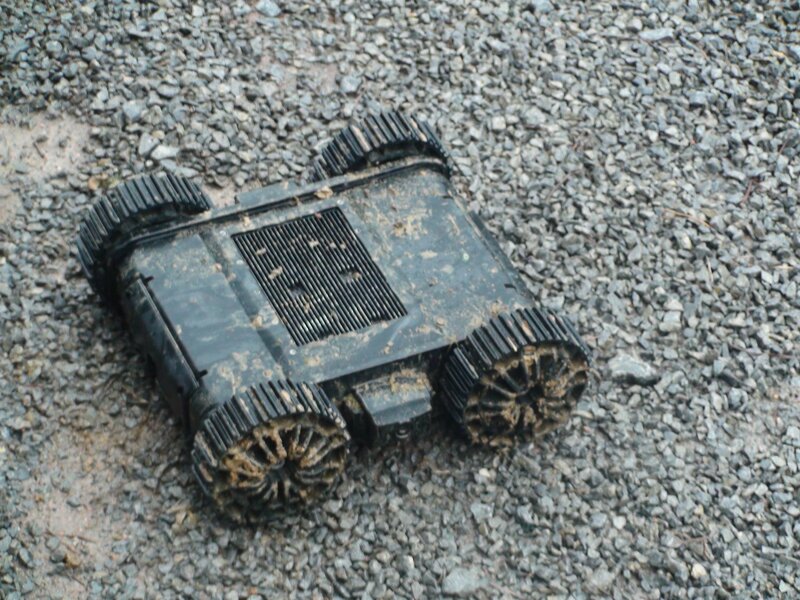 Hammelburg, Germany – May 20, 2010, MacroUSA Corporation was awarded the Special Jury’s “Innovation” award at the sixth biannual Military European Land Robot Trial 2010 (M-ELROB 2010) for their Armadillo V2 throwable micro unmanned ground vehicle (MUGV) tactical robot. ELROB is a trial that allows companies and universities to demonstrate and compare the capabilities of unmanned systems in realistic scenarios and terrain in trials organized and setup by military users. It is as close as possible to the typical military deployment scenario today. MacroUSA is located in McClellan, California and specializes in Micro and Small Unmanned Vehicles and Surveillance Devices. “MacroUSA is quickly becoming the industry leader in Micro Unmanned Ground Vehicles”, Jim Malone, NuComm. 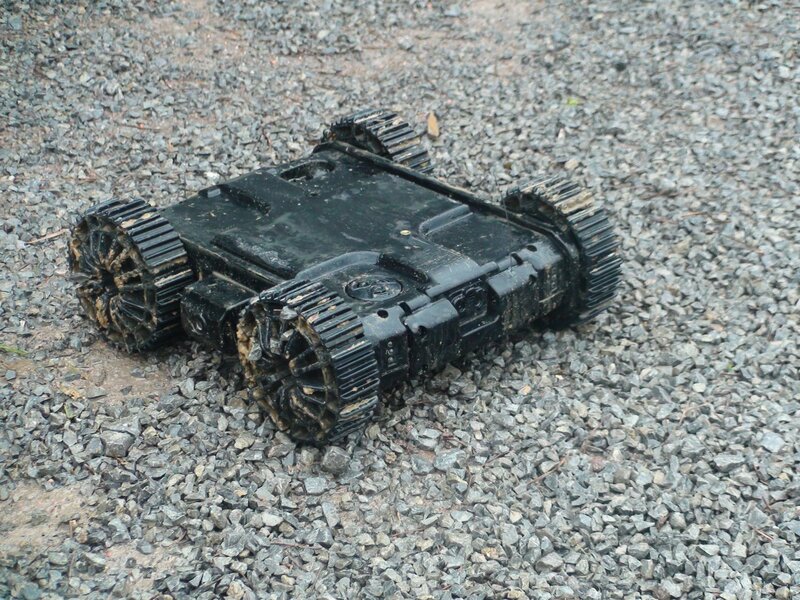 “The Armadillo V2 [tactical ground robot] is the smallest, lightest, and most rugged MUGV on the market utilizing COFDM video links on the market”, David Gomes, Ironhawk Technologies. The ELROB “philosophy” is to provide an overview of the current state of affairs in European unmanned system technology and to evaluate commercial off-the-shelf products for military use. In this context the focus is on systems or modules that can be realized in the short to medium-term. The participation of universities, institutes, companies and capability developers not only of European armed forces allows users, developers as well as representatives of trade and industry to congregate as a community. IDF’s New Camouflaged Robotic Snake (“Robot Snake”) Slithers into Combat: Reconnaissance Robots Get Sneaky…Real Sneaky. Next: Video: Armatac SAW-MAG (also written SAWMAG) 150-Shot Double-Drum Magazine for USMC’s HK M27 IAR (Infantry Automatic Rifle) for Mobile Infantry: FN M249 SAW/LMG Look Out!